Ladies, Are You Ready to Rock? Do you embarrass your kids with your killer air guitar riffs? Channel your inner Janis Joplin in the shower? Sneak downstairs for one more round of Rock Band after the kids go to bed? Well, this summer you have the chance to make all your Rock dreams come true! Girls Rock! 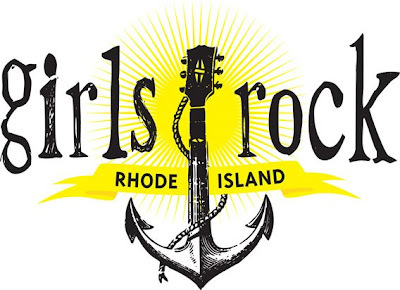 Rhode Island recently announced the opening of registration for its inaugural Ladies Rock Camp. The camp will be held at JamStage music complex in Pawtucket, RI on August 21st-23rd, 2009. In three short days, women 18 and up can learn guitar, bass, drums, or vocals, as well as form bands, write original songs, and perform at a live showcase. All skill levels are welcome. Women will have the opportunity to meet other campers and professional female musicians, as well as learn about helpful women- and music-centered topics like concert promotion, screen-printing and band merchandise creation, women in rock history, and self-defense. The goal of Ladies Rock Camp is to provide women with the opportunity to express themselves through music without judgment in an all-women setting. Also, participants will help encourage future female musicians, as the camp will also work to support Girls Rock! Rhode Island’s first Girls Rock Camp for girls 11-18, which will be held in the summer of 2010. Registration can be completed at www.girlsrockri.org and is on a first-come-first-serve basis. The deadline to register is July 31st, 2009. Ladies Rock Camp is funded by the Rhode Island State Council on the Arts and the City of Pawtucket. Girls Rock! Rhode Island is a new organization in the state whose mission is to help girls and women empower themselves through the development of musical skills in order to foster self-esteem, self-confidence, and self-efficacy. Through this work we hope to build an environment conducive to the active participation and respect of women as creative producers of our culture. For more information, visit www.girlsrockri.org. Send the brownies my way. Rock On!